Over the past few months broadband speeds in Stradbroke have got worse and worse with some people experiencing complete loss of service for days at a time. We know from the discussion at the annual parish meeting and from information published online that faster broadband speeds are coming in September. However only around half of the village will actually get high speed broadband then. The Stradbroke Monthly on the other hand has never been in a better position. It has a strong editorial team and an outsourced printing contract which is all working fine. It runs like clockwork. 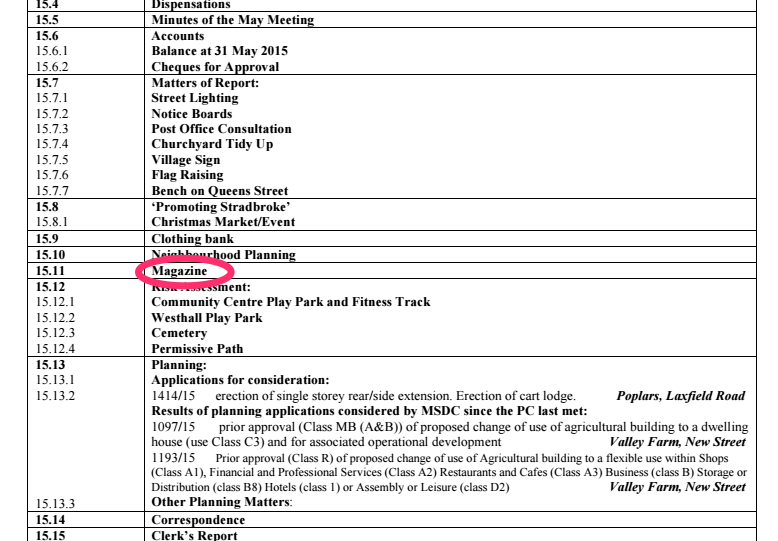 Looking at the agenda of the next parish council meeting for Monday 8th June sadly broadband does not get a mention however as you can see the magazine is once again on the agenda. The last meeting saw a 20 minute discussion about the magazine and an attempt by some councillors to sack the current editors and replace them with two former members of the council who lost their seats at the May elections. These councillors subsequently withdrew their offer apparently as a result of critical comments on social media. However as one commentator on Stradbroke Village Website pointed out "WTF did they expect?" An extraordinary meeting of the council to discuss the magazine was then cancelled. 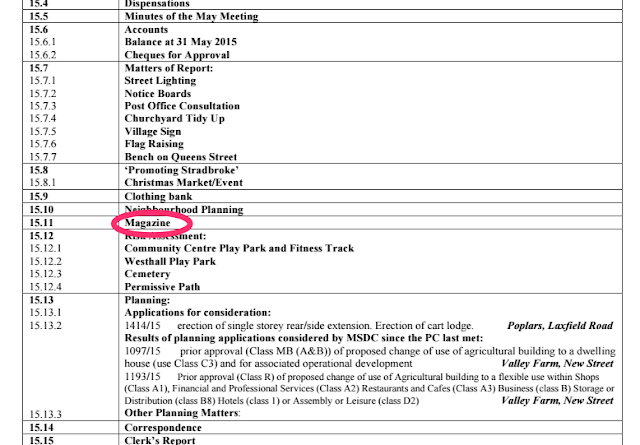 All in all it was a confused mess and it is surprising that the Council seems so keen to continue discussing the same issue again and again. 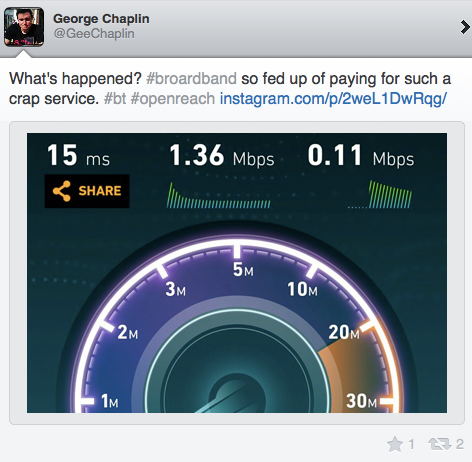 I think many Stradbroke residents would prefer to see the Council discussing the problems with broadband. If you want to see what happens and cannot attend the meeting then there will be another live blog on this site.